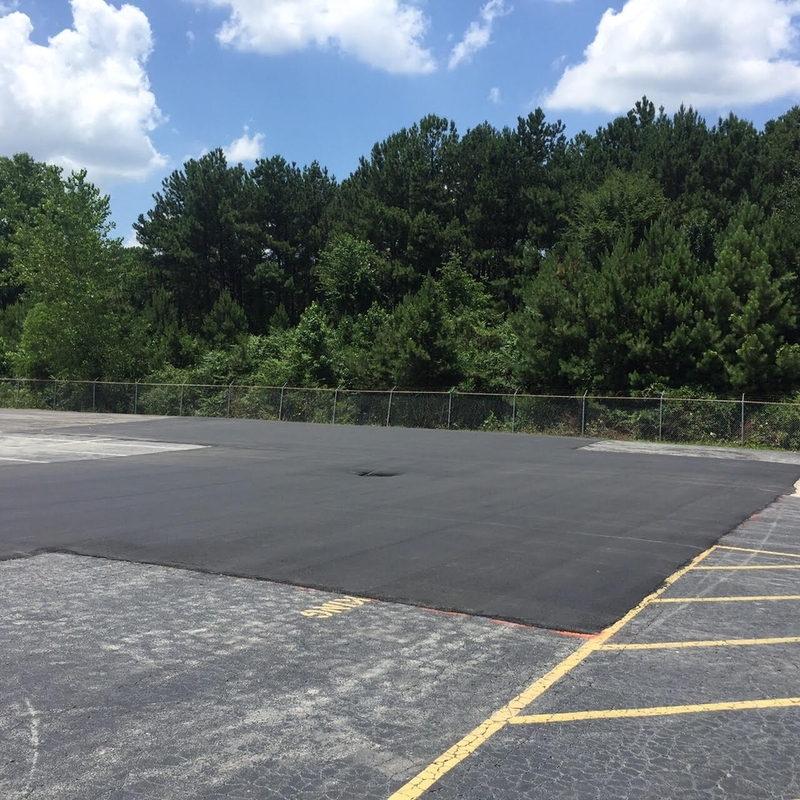 Together with our sister company, Watt Commercial Sweeping (WCS), were able to provide complete parking lot rejuvenation and restoration services to an existing customer. 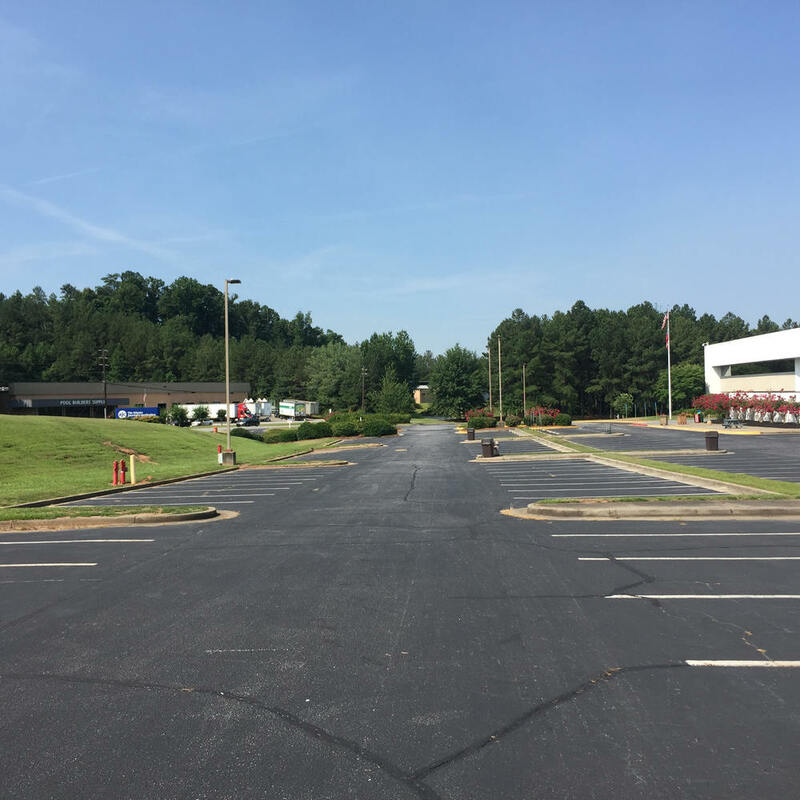 WCS, currently provides regular maintenance by way of power sweeping and litter control but when the need arose, we stepped in and provided full service asphalt maintenance. As a 24/7 operation business, the parking lot is on the short end of the stick. From weather to heavy traffic, the parking lot slowly began to wear. To restore the curb appeal and extend the life of the asphalt we first cleaned, prepared and filled straight line cracks in concert with asphalt repair crews, who laid a perm-flex patch over heavily cracked and 'alligatored' areas. An herbicide was sprayed on weeds that had penetrated through cracks and openings as well as an oil spot primer to prepare for the coal tar sealer. Once all the preliminary work was completed we proceeded to methodically apply the sealer by first meticulously painting the sealer along the edges; a process that sets us apart from our competition and provides a cleaner more professional look. Once all the edges are sealed, we continue the process by spraying all the open areas in a uniform pattern. The lot receives two coats of premium sealer when completed. As each section is completed the process of re-striping and stenciling parking stalls and other traffic markings is quickly performed. When dried, the section is complete and opened to the property's employees and customers to enjoy. 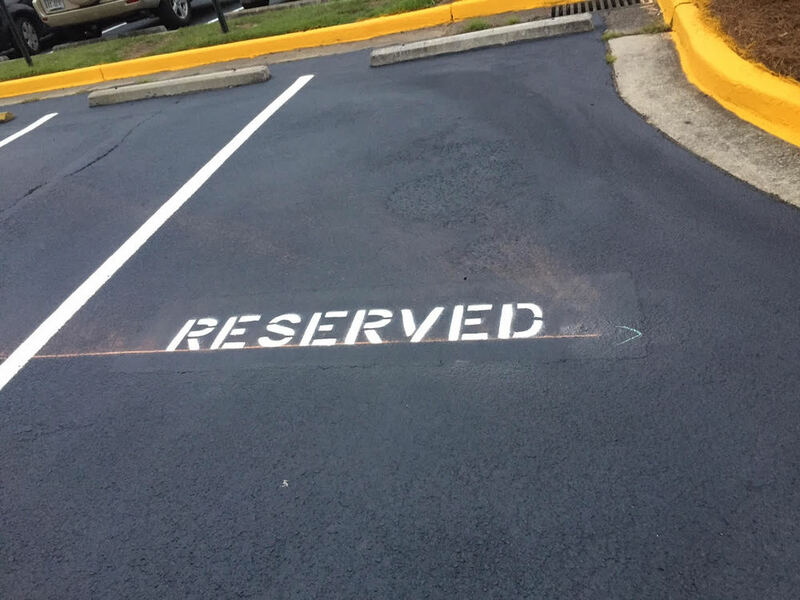 The entire process took 5 days, approximately 3,000 gallons of sealer, while allowing the company's operations to continue unbothered and resulted in a parking lot with a life extended an additional 5-10 years. For your free estimate on your property, contact us today!